For RESET, is it normally +5 and went pushed it is shorted to ground? Or, is it normally ground and when pushed it is shorted to +5? And is a 10mf Cap alright, or must it be 0.1 mf? I'm going to cross post this also. Hope that is alright. So if you mean to use a 10mF i'm not sure if that'd be good. Ok, I'm open for answers; as I have some questions again. SED133x is an 8bit controller, so it will be considered as a non-buffered controller. Correct? 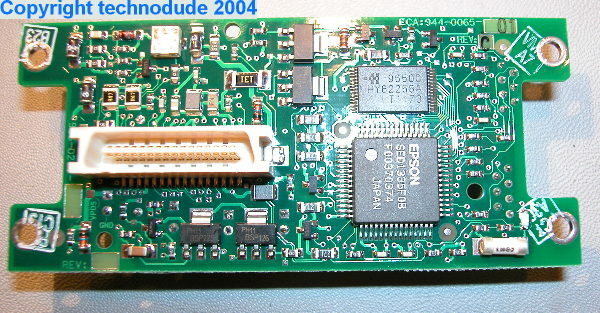 The data sheet for the 600.200sk http://www.planar.com/Products/docs/IBU/current_manual/el/EL640.200-SK_020_0348_00A.pdf makes note that in non-buffered mode, input signals VID0 through VID3 and VIDL0 through VIDL3 contain the video data for the screen. That is 8 data lines, where do I pull VIDL0 through VIDL3 from? Or do I have this misread? I've been making some encouraging steps with this controller card and display, but the hurdles are always there. And for the good news... I just started a new job this week and have been really busy. After 20 years in the restuarant business(management/owner), I have finally gotten a dream job. I am now working for a top restuarant POS system company; configuring and installing systems. Lot's of nationwide travel, free computer gear, heavy discounts from suppliers, I will be working LESS than 70hrs/week, and NO MORE FREAKIN' STRESS. Well maybe a little. SED133x is 4 bit single scan controller. So it would use the buffered mode with 640.200-SK. So, I did misread that or misunderstood that. I'm having some issues. Mainly, because of that "little" error on my part. But, maybe because the 640.200-SK has an Xilinx on board, and it has to be responsible for some of the controlling commands. If nothing else, if I find that I can't get this run properly with that controller card; I will have a really cool 12volt rectanglular yellow nightlight. have you got more information of the part you posted the pictures? I got two of these devices in a complete form. 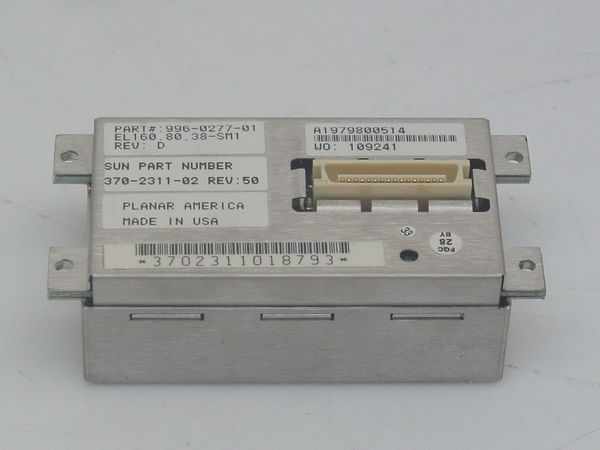 The controller, you posted a picture from, is a EL display that is used in SUN storage servers. The controller is just one part and decodes the touch interface of the display. It also generates the high voltage needed for the el display. The part that you did not post pictures of, is the display itslef. 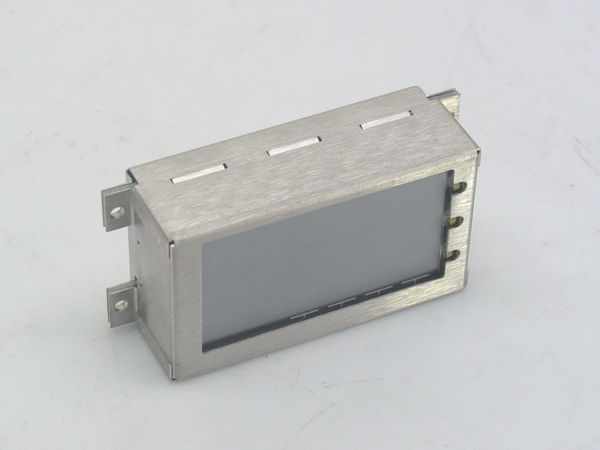 It is a display named 944-0064-00 and has a touchscreen interface mounted. The touch screen is a 5*3 matrix. You can find a complete picture of the device here http://www.recycledgoods.com/item/25467.aspx . I could not find enough information on the internet. The device seems to be too old. I like to connect the module to a pc somehow and use it. 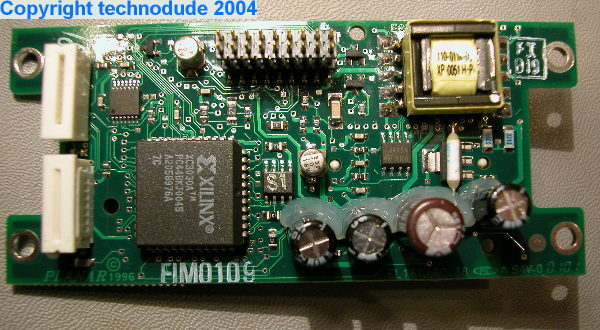 Therefore I need the pinout of the 32pin connector. Does you, or anybody else, know something about it? Is the interface anything like this ? I have seen these but haven't yet been able to find good enough use for them to justify getting one. Of course it can be usable even if you don't have just that specific display it's made for if you trace the signals and find better use for them. As there is the Xilinx FPGA on the board I don't expect all the signals to go straight to the display but instead the FPGA has some processing job there probably related to the display scanning. But I haven't looked into it more. You didn't mention what display you'd like to interface with. It all depends of the display how to connect things and if that's even possible with the stuff you have now. No, I don't have any extra information on these as I don't have the hardware so haven't really had a reason to look more into it. I didn't know that the board was part of that display. It's good to have the additional information that you provided. 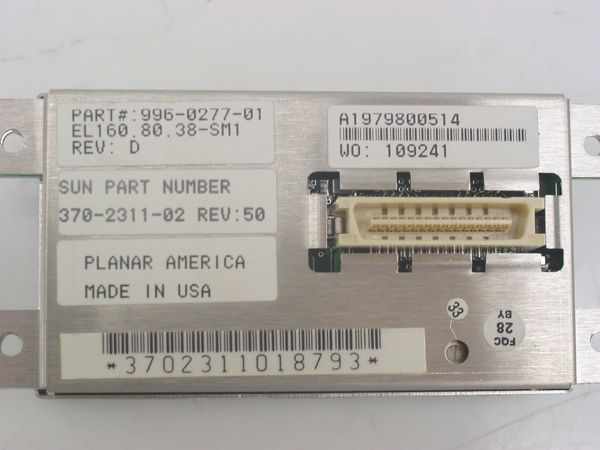 But earlier in the topic you can see One~Zero mentioning that he had the pinout for the 32 pin SMD connector. As the controller board has the SED1335 controller on it the interface should be the common 8 bit SED1335 parallel interface in the connector. You just need the pinout and if One~Zero still has it would be nice to have the pinout also added to this thread for future reference. In fact I'll put the information from your link to here for anyone else looking for this later.